THERE are three key components to the Pioneer Generation Package announced by Deputy Prime Minister Tharman Shanmugaratnam yesterday. These are: outpatient care, Medisave and MediShield Life, all of which will target various aspects of health care, from prevention to catastrophic illnesses. The measures address two big worries in health-care costs: out-of-pocket payments and the increase in premiums when MediShield Life kicks in next year. The package, which will benefit about 450,000 Singaporean pioneers, will be for life. The benefits will also not be differentiated by income, said DPM Tharman, who is also the Finance Minister. This is for seniors who require outpatient treatment for common illnesses or chronic conditions such as diabetes. Higher subsidies will be given at specialist outpatient clinics (SOCs) for the lower- and middle-income groups, regardless of age. The current SOC subsidy is 50 per cent. This will go up to 60 per cent for the middle-income group and 70 per cent for the lower-income. On top of this, all in the pioneer generation will get another 50 per cent off their SOC bills. This means all pioneers stand to get a 75 to 85 per cent subsidy for treatment at SOCs, regardless of their income. They will also get an additional 50 per cent off their subsidised bills at polyclinics. The SOC and polyclinic subsidies for pioneers will kick in this September. CHAS provides subsidised care at private general practitioners and dental clinics for lower- and middle-income Singaporeans, who have to meet certain income or housing value criteria. It also subsidises screenings for some conditions like diabetes, high blood pressure and colorectal cancer. From next January (*updated* from 1 September 2014), all pioneers will be placed on CHAS, regardless of income or housing type. Those who already have a CHAS card will get additional subsidies, similar to the extra help they will get with SOC and polyclinic bills. Pioneers with moderate to severe disabilities - or their nominated caregivers - will get cash aid of $1,200 a year under this scheme from September. To qualify, they should require hands-on help with at least three activities of daily living. This assistance, which will be for life, is in addition to existing schemes for the disabled elderly like the Interim Disability Assistance Programme for the Elderly and ElderShield, which have maximum payout periods. Annual top-ups will be given to the Medisave of pioneers, who tend to have less Medisave savings compared to younger Singaporeans. The life-time top-ups will start this August and older groups will get a bigger sum. The amounts range from $200 a year for those aged 65 to 69 this year to $800 for those 80 and older this year. The top-up comes on top of the regular GST Voucher Medisave payouts for lower- and middle-income seniors. Pioneers will also benefit from another Budget announcement which will allow elderly Singaporeans to use a portion of their Medisave more flexibly for a range of outpatient treatments. Recognising that many older Singaporeans do not have MediShield insurance, the Government will ensure all pioneers are covered by MediShield Life. They will be insured for life and will receive a special subsidy for their MediShield Life premiums, which will increase with age. Starting from 40 per cent of the premium at age 65, the subsidy will rise to 60 per cent of the premium at age 90. For instance, said DPM Tharman, a 65-year-old today who lives to 85 would get an average subsidy of 50 per cent on his premiums over his lifetime. The MediShield Life subsidies will kick in at the end of next year, when the enhanced national insurance plan is rolled out. 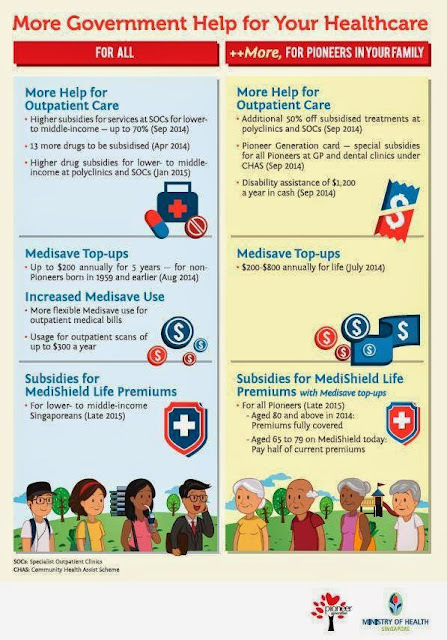 The Government intends to fully cover the MediShield Life premiums for those aged 80 and older this year through a combination of premium subsidies and Medisave top-ups, said DPM Tharman. This will apply as well to those in this age group who are currently not covered by MediShield but will be placed on MediShield Life. Younger pioneers - like those who are 70 this year - who are already on MediShield will pay only about half of their current premiums after the premium subsidies and Medisave top-ups kick in. Younger pioneers not on MediShield now will be brought onto MediShield Life. They will still pay less than current premiums. THE government will pump $8 billion into a new fund that will help Singapore's pioneers - those aged 65 or older this year - with their healthcare costs for the rest of their lives. This money, with accumulated interest over time, will be enough to pay for the full projected cost of the Pioneer Generation Package, including a buffer for inflation. The cost of providing the extra healthcare benefits to the group of 450,000 recipients over their lifetime will be slightly over $9 billion in nominal terms, said Deputy Prime Minister and Finance Minister Tharman Shanmugaratnam in Parliament yesterday as he unveiled the full details of the package. Of the $8 billion in the fund, about half that amount will be drawn down in the first 10 years due to the age profile of these pioneers and the higher benefits that will be given to those who are older. Mr Tharman added that all those eligible for the package - those who were at least 16 years old in 1965, and (for practical reasons) had became citizens before 1987- will get the special benefits regardless of their income level today. "Our objective is to honour the contributions of this whole generation. However, (those) who are less well-off will benefit more where there are higher underlying subsidies for all lower-income Singaporeans," he said. He added that it was "right and prudent" to set aside money now to pay for the package while the country has sufficient resources to do so. "With this fund, we assure the pioneer generation that Singapore will honour our commitment to them, regardless of future economic circumstances. The fund also ensures that Budgets in subsequent years can focus on the needs and challenges of the future, for all Singaporeans," said Mr Tharman. He explained that the $8 billion in the fund was not meant to cover the underlying healthcare subsidies that the pioneers receive together with all other Singaporeans. These, he said, would continue to be funded from future annual budgets. 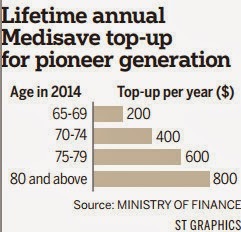 As he outlined the different components of the package, Mr Tharman revealed that all pioneers would get annual top-ups of between $200 and $800 in their Medisave accounts, depending on their age group. He assured the pioneer group that they will get subsidies to pay for their premiums under the new MediShield Life, the universal health insurance scheme that will cover all Singaporeans for life. Older people will get more subsidies. Those aged 65 will get a 40 per cent cut, and this rate will go up to 60 per cent for those aged 90 and above. With this combination of subsidies and Medisave top-ups, a person aged 80 or older will have his or her MediShield Life premiums fully covered. Those who are younger, around 70 years old this year, will pay about half of their current premiums. The MediShield Life Review Committee is currently reviewing the benefits and premiums, which will be ready later this year. The subsidies will be implemented at the end of 2015, when the scheme is eventually rolled out. Pioneers will get a 50 per cent discount off their bills at specialist outpatient clinics and polyclinics, which will bring their total subsidies to 75-85 per cent of their bills. This, said Mr Tharman, is on top of the underlying subsidies that are means-tested. Those with moderate to severe disabilities will get an extra cash boost of $1,200 a year under a new Disability Assistance Scheme. All pioneers will also be automatically included in the government's Community Health Assist Scheme (CHAS), which subsidises the cost of their visits to private general practitioners and dentists. In the past, only the lower and middle-income groups could qualify for this programme. Mr Tharman recognised that there could be some who may have just missed out on the qualifying criteria for the Pioneer Generation Package but have "good claims" to be included. The government will set up a panel to assess these appeals on a case-by- case basis. THE benefits of the Pioneer Generation Package will not be differentiated by income, a move that was welcomed by health-care and ageing experts yesterday. They said it recognised two aspects that the pioneer generation shared in common, regardless of socio-economic status: their worry over health-care costs in their twilight years, and the sacrifices and hardship they endured during the nation's early years. "The package targets an important area of concern for many elderly people regardless of their social and economic background - health-care costs," said Dr Kang Soon-Hock, head of SIM University's social science core. Dr Kang, who specialises in ageing issues, was particularly impressed with the move to reduce out-of-pocket costs for the elderly in outpatient care. On top of increased subsidies at specialist outpatient clinics (SOCs) for lower- to middle-income Singaporeans, the pioneer generation will get an extra subsidy of 50 per cent at SOCs and polyclinics, which will likely mean a "visible reduction" in their bills. Geriatrician Reshma Merchant said the absence of means-testing in the package honours the fact that "our pioneer generation, regardless of socio-economic status, have gone through hardship and contributed significantly during early years to the country". Also, most pioneers have retired and do not have a steady income, said the head of general medicine at National University Hospital. Observers also praised the package for spreading its net to cover preventive and primary health-care as well as MediShield Life for catastrophic illnesses. Besides the SOC and polyclinic subsidies, all pioneers - regardless of income or housing type - will be placed on the Community Health Assist Scheme (CHAS), which subsidises care at private GPs and dental clinics and screenings for some conditions like diabetes. They will also receive annual Medisave top-ups for life. This year's Budget will also let elderly Singaporeans use a portion of their Medisave more flexibly across a range of outpatient treatments. Health economist Phua Kai Hong said giving help in outpatient care is an important first step as it would benefit almost all the elderly. "If you don't provide the support for SOC as well as outpatient care, then you're basically waiting for people to exhaust all their Medisave and fall back on MediShield." Dr Merchant said the pioneers tend to be cost-conscious because of past hardship and often delay seeking medical help. "Hopefully with (the package), they will seek help earlier, undertake more preventive measures which will improve their quality of life." Help will also be given to the disabled elderly or their nominated caregivers with a cash aid of $1,200 a year. Dr Lam Pin Min, who chairs the Government Parliamentary Committee for Health, lauded the gesture to help seniors and recognise caregivers. But SIM University's head of gerontology Kalyani Mehta hopes the Government will bear the cost of assessing the elderly for this scheme "to relieve the families' expenses and encourage the families to come forward". 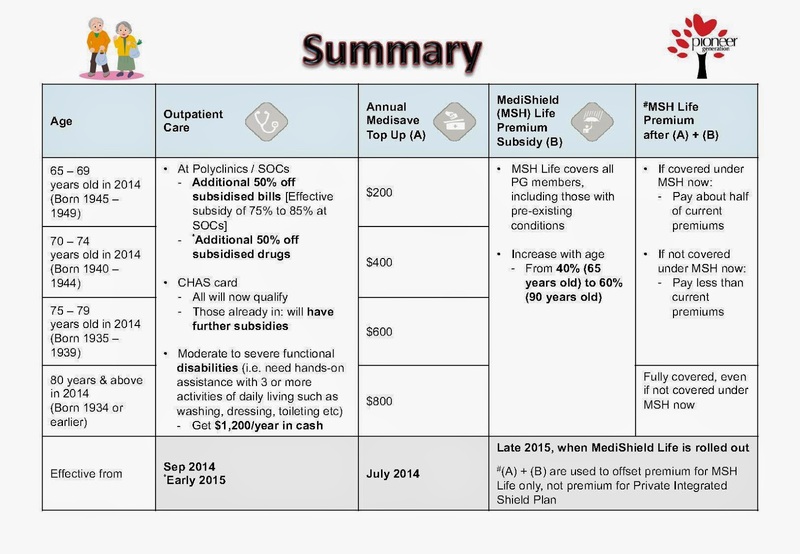 Dr Lam also praised the "generous subsidies" on MediShield Life premiums. Together with the Medisave top-ups, the subsidies will fully cover the premiums for a pioneer who is aged 80 and older this year. Dr Phua, however, cautioned that the premiums for Integrated Shield plans would be an area to watch carefully. Dr Jeremy Lim, head of health and life sciences practice at consulting firm Oliver Wyman, said it is necessary to reduce health-care spending as higher costs would "dampen the benefits" of the new measures. Noting that the monies are mainly channelled through Medisave, he called for special effort to ensure that those without Medisave accounts still get help. Dr Lim also stressed the need for the health-care delivery system to be prepared for more people seeing the doctor, with the rise in government funding. This year's Budget is heavily focused on the elderly, but while some younger Singaporeans said they wished they had got more, many did not feel overly disappointed. This is because the slew of measures for seniors will also ease the financial strain on the younger generation supporting them, they said. Sales manager Muhammad Dzul Azhan Haji Sahban, 33, is one who welcomed the Budget, as his 65-year-old father will benefit from the Pioneer Generation Package and the extra parent relief. An only child, Mr Dzul earns between $3,000 and $4,000 a month, and supports his retired parents, administrative assistant wife and a 10-month-old baby. "I have to pay for the flat, household expenses and allowances for my parents... Every little bit of help counts, and now I don't have to worry too much about their health-care costs," he said. But he was disappointed that there were no GST vouchers forgroups of younger Singaporeans among the operationally ready national servicemen or single mothers. The centrepiece of the Budget was the Pioneer Generation Package with its subsidies for outpatient care, Medisave top-ups and MediShield Life subsidies. The package is for Singaporeans aged 65 and above this year, and who became citizens before 1987. But there was also help for seniors who did not qualify. Those aged 55 and above will get a cash voucher to offset daily expenses this year, and Medisave top-ups for the next five years. Marine Parade GRC MP Tin Pei Ling, who has many elderly people in her ward, said: "For younger workers who are taking care of elderly parents, the relief for their parents can turn out to be a relief for them in terms of easing their financial expenditure." The Pioneer Generation Package will by funded with $8 billion from this year's Budget to support 450,000 pioneers for the rest of their lives. It means future Budgets will be able to focus on other challenges and needs. It is a large sum for one group, but magazine writer Kenneth Wee, 27, said that he understands the need for it now. "As a young worker, I have no worries that I'll be able to earn more to cope with rising costs. The older Singaporeans may not have that... financial security, so it's good that this is focusing on them," he said. He added that it would be like "spoonfeeding" to keep expecting more subsidies from the Government when younger workers like himself are capable of improving themselves and their salaries. It is for the same reason that IT analyst Daniel Chia, 30, "did not expect much" from this year's Budget for younger Singaporeans. "I'm pretty optimistic about my current job prospects and am economically stable, so more help from the Government for older Singaporeans seems like a step in the right direction for me," he said. Education Minister Heng Swee Keat also highlighted two important measures that will help the young from low- and middle-income families. Students in polytechnics, ITE and universities, from as many as two-thirds of all Singaporean households, will be able to qualify for larger bursaries. And there will be more financial assistance for kindergartens through Kindergarten Fee Assistance Scheme, for all anchor operators and Ministry of Education kindergartens. Holland-Bukit Timah GRC MP Liang Eng Hwa said that young Singaporeans will "benefit tremendously" from measures to restructure the economy. "The young need to have a good future, so they too can generate surpluses for future generations," he said. Still, not all could afford to be so far-sighted. Retail assistant Janice Lin, 29, said the Budget offered little direct financial support for low- to middle-income earners like herself, who are feeling the pinch of higher costs of living. "Nothing is stable these days for sales workers like me as the economy has been very volatile. I was hoping we could get some subsidies to offset these day-to-day costs. The (extra CPF employer) contributions to Medisave are welcome, but they can't help me financially now," she said. OLDER Singaporeans who miss being part of the pioneer generation group will still get a top-up of their Medisave accounts for the next five years. The Government will give those born in 1959 or earlier - aged at least 55 this year - $100 or $200 a year. Those living in homes with an annual value of up to $13,000 - which include most Housing Board flats - will get the higher $200 annual sum. The rest in that age group will get a $100 top-up. Deputy Prime Minister and Finance Minister Tharman Shanmugaratnam explained the move: "We want to provide more support for other older Singaporeans." Mrs Yvonne Teo, 59, a retired executive, has three working children who help with the family finances. Her Medisave account is healthy after years of contributions, so she does not need the new top-up. But when she heard that both she and her husband would each get $100 in their Medisave for the next five years, she said: "I'm delighted by the Government's gesture and heartened that I've not been left out." Sociologist Paulin Straughan said the top-up "sends a message to the near-elderly that the Government hears their concerns". Boosting their Medisave also signals to them that when you are that age, you must prepare for unexpected health expenditure, she added. Dr Lam Pin Min, chairman of the Government Parliamentary Committee (GPC) for Health, called it a "good gesture" that shows the Government cares for all groups. He said: "I certainly hope that the Government will consider more top-ups and for a longer period in future Budgets." MORE money - $170 million of it - will be given to seniors to help them offset daily expenses. This group of Singaporeans who are aged 55 and older this year are the most affected by the cost of living going up. This is especially so for retirees among them with little or no income, said Deputy Prime Minister Tharman Shanmugaratnam in announcing the GST Voucher - Cash: Seniors' Bonus. The group of about 675,000 seniors already receives GST Vouchers which contain a cash component, he said. For Mr Yap Ah Chin, 58, the extra cash could not have been more timely. The retiree was forced to stop working three years ago after suffering heart problems, diabetes and hepatitis B, and has not been drawing an income since. He lives in a four-room flat with his wife. "On top of my medical bills, costs for utilities have gone up. Daily necessities are also more expensive," he said. To be thrifty, meals are usually simple affairs at home. "I am glad of the extra cash," he said. The GST Voucher - Cash: Seniors' bonus announced yesterday is a one-time payout under the GST Voucher scheme. The scheme was introduced in 2012 as a permanent feature of Singapore's social safety net. This additional payment will essentially double the amount of cash that eligible seniors usually receive to offset what they pay in goods and services tax (GST). To qualify, their income earned last year - as assessed by the Inland Revenue Authority - must not have exceeded $26,000. Their home must also have an annual estimated rental value of $21,000 or less as at Dec 31 last year. The amount they will get ranges from $100 to $250 depending on the annual value of their home. About one in four among the pioneer generation is not covered under MediShield, and the proportion is higher among the older pioneers. Among those not insured by the national health insurance scheme, some were not covered as they had never worked before. Others may have opted out, the Health Ministry (MOH) said in reply to queries from The Sunday Times yesterday. This group of seniors is likely to be at risk of having to pay for larger hospital bills, and many were unable to sign on or get back on MediShield because they could not afford the premiums or had pre-existing conditions. This will soon change after the benefits of the Pioneer Generation Package kick in. Not only will all pioneers be placed on the new MediShield Life scheme, those aged 80 and above this year will also be covered free of charge for the rest of their lives. 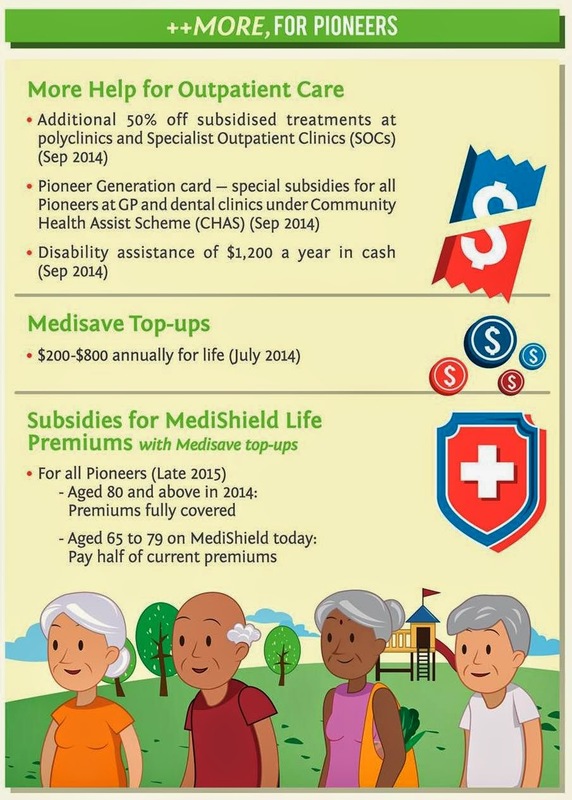 In his Budget speech on Friday, Deputy Prime Minister and Finance Minister Tharman Shanmugaratnam pledged to fully cover the premiums for this group of older pioneers through Medisave top-ups and MediShield Life subsidies. The pioneer generation is defined as those aged 65 and above this year, and who became citizens before 1987. About 25 per cent of the 450,000 pioneers are aged 80 and older, said the Ministry of Finance (MOF). This is the group that will have their MediShield Life premiums fully taken care of - even those not covered by MediShield today. 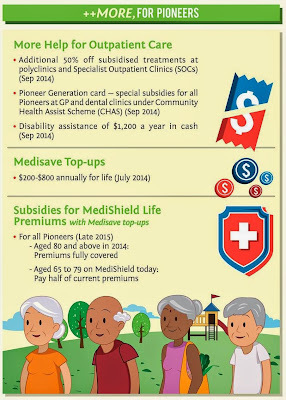 A pioneer aged 70 today and on MediShield will pay about half of his current premiums after the premium subsidies and Medisave top-ups kick in. Those not on Medi- Shield now will be brought onto MediShield Life and will also pay less than current MediShield premiums. Madam Lee Ah Yoke, 86, is one of those who will benefit from the new measures. The retired hawker does not have MediShield. She was hospitalised earlier this year for dizzy spells and depended on her grandson's Medisave as her three children either do not have Medisave or have had their Medisave depleted. Tanjong Pagar GRC MP Lily Neo said the Government's promise to foot the bill for the premiums of pioneers like Madam Lee will give many of these seniors - especially those with existing illnesses - peace of mind. Dr Neo and fellow MP Chia Shi-Lu also felt that the MediShield Life component of the Pioneer Generation Package will help to control health-care costs and keep financing sustainable. Dr Chia, who sits on the Government Parliamentary Committee for Health, said the GPC had previously raised its concerns to MOH over the vulnerable elderly not covered by MediShield. Some may currently qualify for Medifund, the Government's endowment fund for the very poor, but this might not be sustainable in the long term, said Dr Chia. Risk-pooling by extending insurance to everyone is less costly and "the correct use of our funds", added Dr Neo. Dr Mary Ann Tsao, chairman of the Tsao Foundation, welcomed the move to cover the very old for life, but noted how MediShield Life will be implemented is important. Among the questions yet to be answered are what conditions will be covered by the scheme and how much the deductible and co-payment amounts will be, she said. Another group of concern is the elderly without Central Provident Fund (CPF) accounts or who have depleted their Medisave savings. This group would be among the poorest and "highest-need" as they do not have enough for a CPF account or may not have children to top it up for them, she said, adding that the community and non-profit sector could work with the Government to reach out to them. An MOF spokesman said that the "vast majority" of pioneers would automatically get the annual Medisave top-ups, which range from $200 to $800 depending on their age this year. This is because they were either CPF members or had CPF accounts automatically created when they signed up for previous government transfer schemes such as the GST voucher. Taken together with the annual GST voucher for Medisave, the oldest pioneer would get as much as $1,250 in Medisave top-ups a year. MOF also highlighted the other Pioneer Generation Package measures which will give substantial subsidies on outpatient treatment at specialist outpatient clinics, polyclinics and private GPs. This would result in the pioneers having to tap less into their cash or Medisave savings, said the spokesman. A day after the Budget fleshed out details of the generous health-care benefits in the Pioneer Generation Package, Deputy Prime Minister Teo Chee Hean said he was happy the age range was extended to 65, as this recognises the first batch of national servicemen. He said on Facebook: "Careful budgeting means we can set aside a fund now to fully pay for this level of pioneer benefits without burdening younger generations." There are 190,000 Singaporeans in the 65 to 69 age bracket, he said. They include the first batch of 900 full-time national servicemen who enlisted in July 1967. Defence analyst Ho Shu Huang said that that first batch formed the core of the Singapore Armed Forces' manpower in the early years. "After independence, there were only a few hundred regulars, not enough for any form of a credible defence force," he said. "So these men certainly enlarged the existing force." They also introduced the rest of Singapore to the idea of full-time national service. Mr Ho, an associate research fellow at the S. Rajaratnam School of International Studies, said: "Now, we have relatives and friends to talk to about NS. Back then, they had no one to talk to, and no one knew what to expect. To a large extent, they epitomised the pioneering spirit." One of the men in the pioneer batch, Mr Teo Cheng Keng, 69, said they served in "a very tumultuous time" when Singapore was a new nation. The retired businessman was drafted after graduating from the then University of Singapore, now the National University of Singapore (NUS). He keeps in touch with his NS buddies through the NUS-NS Pioneers' Association, of which he is the founding president. Of the health-care help that they will be receiving, he said: "It's great, it's helpful. I'm glad that many of us will get it." Still, he feels that more can be done to recognise Singapore's first NS batch. "I would like to see a scheme that specifically recognises the pioneer batch of national servicemen," he said. Fellow pioneer Saman Ismail, who will turn 65 in May, also welcomed the benefits he will enjoy. He has high blood pressure, takes daily medication and needs a check-up every four months. Recalling the first day he reported for NS at Taman Jurong Camp, he said he was excited and anxious. "We were wondering, 'Can I make it or not? Will I go through these two years successfully?'" He went on to become a prison officer and retired in 2010. He said of the Pioneer Generation Package benefits coming his way: "My old age will be more beautiful as I will need to pay less for medical bills." 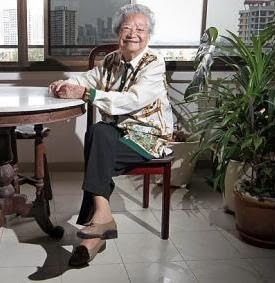 Madam Wan Lau Fong came to Singapore from Guangdong province when she was just 21. She worked for over 50 years as a ma jie - domestic helpers who stay single for life - and then as a cleaner in office buildings in Shenton Way. With no family to support her, no MediShield, and little in the form of cash and Medisave funds, the 88-year-old had to rely on aid from medical social workers when she was hospitalised for osteoporosis two years ago and again last year for giddiness. She therefore welcomed the news that pioneers like her will be placed on the new MediShield Life scheme to insure against large hospital bills, and of the Government's intention to fully pay for the premiums of those aged 80 and above this year, for the rest of their lives. This will be done through annual Medisave top-ups and premium subsidies. Madam Wan also stands to benefit from additional subsidies for pioneers at polyclinics and specialist outpatient clinics. But she still hopes the package can be improved for the very old, with more subsidies for medication. This is because the annual Medisave top-up of $800 for pioneers aged 80 and above this year will not be enough to pay for her osteoporosis medication, which costs about $1,400 a year. As doctors said she is too old to undergo surgery for her osteoporosis, she has to take the medicine for the rest of her life, and she has to apply for financial help regularly to pay for it. "I would be most happy if there could be more subsidies for medicine for chronic conditions. Then I won't have to bother the social workers," she said. FORMER principal Fong Yuet Kwai has plenty of fighting spirit, as Finance Minister Tharman Shanmugaratnam noted yesterday. Mr Tharman singled out Madam Fong's self-reliance and never-say-die attitude in his Budget speech. That "pioneering spirit", he noted, shone through when Madam Fong was diagnosed with kidney cancer in 1997 but returned to Nan Hua Primary School after just six months because she felt it was her duty. Madam Fong, 72, taught at the school for more than four decades. She told The Straits Times yesterday that staying positive and cheerful helped her get through some of her darker days. "Whether you have a long or short life is not important. What's most important is whether you have lived your life usefully. "I still felt like I had a lot of things to give to the school, so I decided to go back. I've been working with children for so long; after six months at home, it got boring," she added with a laugh. 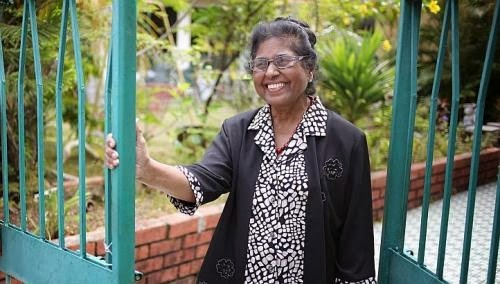 WIDOW Betsy Sachariah, 80, lives alone in a single-storey terraced house in Seletar Hills and has modest savings from two decades of work as a kindergarten teacher. The mother of three lost her technician husband to a heart attack in 1995. As he was then working for the British Army here, Madam Sachariah today continues to receive a widow's pension of $300 a month. She also receives some help from her three children, two of whom are living overseas. To cope with day-to-day costs, she started leasing out a room in her home last year, for $500 a month. "Costs of living continue to rise here, so I had to do this to cope. I am very lucky that my house is fully paid for and I don't live a lavish life," she said. Every three months, Madam Sachariah spends about $100 on medication for ailments including high cholesterol and high blood pressure. She also suffers from a frozen shoulder and knee pains. Her monthly utility bills set her back by about $150 a month. Qualifying for Chas will allow her to receive subsidies from general practitioners for consultations, something she is "very happy to hear". Having just turned 80, she is also assured that her MediShield Life premiums will be fully covered. "I'm very at ease to hear this, I feel like I don't need to worry so much now. People think that those who own a house have plenty of savings and don't need help. I am glad the package will help those like me," she said. RETIRED Inland Revenue officer George Chiang has exhausted the bulk of his savings paying for his wife Chung Perng's medical bills. Mrs Chiang is wheelchair-bound, suffers from vascular dementia and requires medication to treat her high blood pressure and high cholesterol. 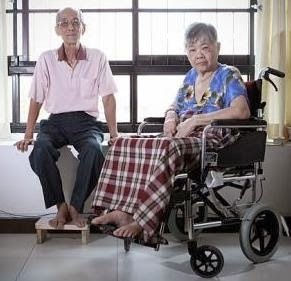 The couple, both 73, live with their daughter, 43, a secretary, in a four-room HDB flat in Sengkang. They are largely dependent on her monthly income of about $3,000. Medication from the polyclinic sets them back by about $200 a month. New outpatient treatment subsidies for all members of the pioneer generation and under the Community Health Assist Scheme could halve the cost of their polyclinic consultation fees and reduce the amount Mr Chiang has to fork out for his wife's medicine. Mr Chiang's Medisave savings have dipped to around $10,000, as most of it was spent on Mrs Chiang's hospitalisation fees over the years. The Medisave top-ups will help the couple pay for their MediShield premiums. "The premiums cost us $1,600 a year each, and I can use only up to $1,000 from my Medisave to pay for them. The rest I have to pay in cash," said Mr Chiang. But from next year, when MediShield Life replaces MediShield, the Government will also subsidise more than 40 per cent of their premiums. If Mrs Chiang qualifies for the Disability Assistance Scheme, it will be a great help to her husband. The $1,200 in cash a year could be used to pay for the $71 home nursing visit charge he incurs each time a doctor is called to their home to treat his wife. That happens once every two or three months. Right now, Mr Chiang, a father of three who retired in 1996, works on an ad hoc basis at a motor garage for extra cash. That brings in about $600 a month every few months. He observed that the package for pioneers focuses on helping the sick, through Medisave or MediShield Life. But he asks: "Who wants to be sick? I've been keeping healthy all these years and I was hoping there would be a cash bonus as an incentive to keep fit." 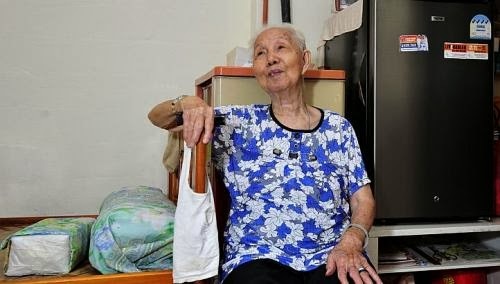 AT AGE 102, silver-haired Madam Ho So Chun loves to play mahjong - but only with people who play fast. Her vitality belies her physical fragility - and the health-care costs her family, including daughter Amy Loh, 67, bears each time she needs treatment, gets a check-up or requires medication. So Ms Loh was cheered yesterday by the news that both her mother and herself will receive help from the $9 billion Pioneer Generation Package. "We've really had a lot of bills," said Ms Loh, who is single and lives on her company pension as a former pharmaceutical executive, in her condominium unit in Geylang. Her mother had a triple heart bypass in her 90s, about 10 years ago. A year later, she had cervical cancer. Radiotherapy led to side effects such as incontinence and gynaecological problems for which she has to see at least four specialists. In the past three years, she had fallen twice, fracturing her upper arm and injuring her spine. The tear ducts in her eyes have not been draining properly, too. It helps that Ms Loh's three siblings in their 60s and 70s, and a 45-year-old nephew, share in paying Madam Ho's expenses, including hiring a maid with whom the widow lives in a private apartment on Moulmein Road. Come August, mother and daughter will get more Medisave top-ups. Madam Ho will get $800, Ms Loh $200. A month later, they will get an additional 75 per cent subsidy for treatment at specialist outpatient clinics. This will reduce Madam Ho's bill of $33 to $8 for a visit every two months on average. In January, both will qualify for the Community Health Assist Scheme (CHAS), which was previously limited to those from the lower- or middle- income group. The qualifying criteria of a $1,800 and below household monthly income per person, or an annual home value of $21,000 and below for households with no income, will be waived for pioneers. CHAS will also offset the $250 a year Madam Ho pays for medicine to control diabetes, blood pressure and cholesterol level. The amount of subsidy has not been made known yet. Late next year, the pioneer generation will get help to pay for premiums for the new national insurance scheme, MediShield Life, which will cover everyone, including those with pre-existing illnesses. This is a boon for Madam Ho, who has no medical insurance and is not on the existing MediShield, which has a cut-off age of 90. The scheme will pay for large hospital bills. The Government aims to have pioneers aged 80 and above fully covered for premiums through subsidies and Medisave top-ups; and those who are younger, like Ms Loh, 50 per cent covered. For Ms Loh, who runs half marathons and seldom falls ill, any money saved can pay for her own medical insurance. She said: "If I'm not sick, I don't go to the clinic. But I've to pay the premium regularly, and it increases with age." THE Government's prudent approach to spending over the decades has left it in the enviable position of being able to fund the entire Pioneer Generation Package from one year's Budget, economists told The Straits Times. They also noted that having the capacity to finance the massive programme shows the importance of strong economic growth. "This is a good example of why we need to pursue a prudent fiscal policy when times are good," said DBS senior economist Irvin Seah. The Pioneer Generation Package, a centrepiece of the Budget announced last Friday, will set aside $8 billion in a fund to provide help for the health-care costs of 450,000 "pioneers". The entire amount will be taken out of the Budget for the 2014 financial year. This is made possible mainly by higher projected tax revenues and strong returns from investing the reserves, said Mr Liang Eng Hwa, deputy chairman of the Government Parliamentary Committee for Finance and Trade and Industry. "What is really a blessing is the financial reserves that we have steadfastly built up over the years," Mr Liang, an MP for Holland-Bukit Timah GRC, told The Straits Times. "By growing the base amount of our reserves, it helps increase the annual contributions from investment returns to the current Budget and reduces the need to raise taxes." An estimated $8.1 billion will be taken from the net investment returns on the reserves for Budget 2014, up from $7.9 billion the year before. The Government said the $8 billion Pioneer Generation Fund, together with accumulated interest over time, can foot the full projected cost of the package, including a buffer for inflation. The total cost is estimated to come in at slightly over $9 billion over the lifetimes of the pioneer generation. "With this fund, we assure the pioneer generation that Singapore will honour our commitment to them, regardless of future economic circumstances," said Finance Minister Tharman Shanmugaratnam last Friday. "The fund also ensures that Budgets in subsequent years can focus on the needs and challenges of the future, for all Singaporeans." This is especially as Singapore's spending needs are expected to "grow significantly" in the next 10 to 15 years, he added. Including the Pioneer Generation Fund, the 2014 Budget is expected to have a deficit of $1.2 billion, or about 0.3 per cent of gross domestic product. Mr Tharman said this is close to a balanced Budget and will not result in a draw on past reserves, as the Government has sufficient surpluses from recent years within the current term of government. The Government is expected to record an overall surplus of $3.9 billion for financial year 2013, higher than the $2.4 billion surplus budgeted a year ago, Mr Tharman said last Friday. Mr Liang said Singapore still needs to keep a close watch on finances. As social spending increases in the coming years, it should remain well funded by increasing operating revenue, he said. "Hence, it is crucial that we succeed in transforming the economy so we can embark on the next trajectory of growth." Bank of America Merrill Lynch economist Chua Hak Bin said the pioneer package underscored the need for continued strong economic growth. "All this help and handouts are possible only if growth remains strong and the fiscal position remains strong," he said. UOB economist Francis Tan said using economic growth to drive higher revenue is a lot more important than using tax rate increases. This year, gamblers, drinkers and smokers are also helping to finance the Budget. Mr Tan and UOB's head of economic-treasury research and investor relations Jimmy Koh noted the increased levies on betting, alcohol and tobacco will "partially fund the increased expenditure". SOME 200 senior citizens turned up at a special dialogue in Jurong East held to explain in Mandarin and dialect the benefits many of them will receive under the Pioneer Generation Package. The session took place at Block 318B, Jurong East Street 31, and was led by Minister in the Prime Minister's Office Grace Fu, who was there as Yuhua's grassroots adviser. She spoke in Mandarin, Cantonese and English, taking questions and explaining the package, which includes subsidies for the new MediShield Life insurance scheme, Medisave top-ups and subsidies for outpatient treatment. 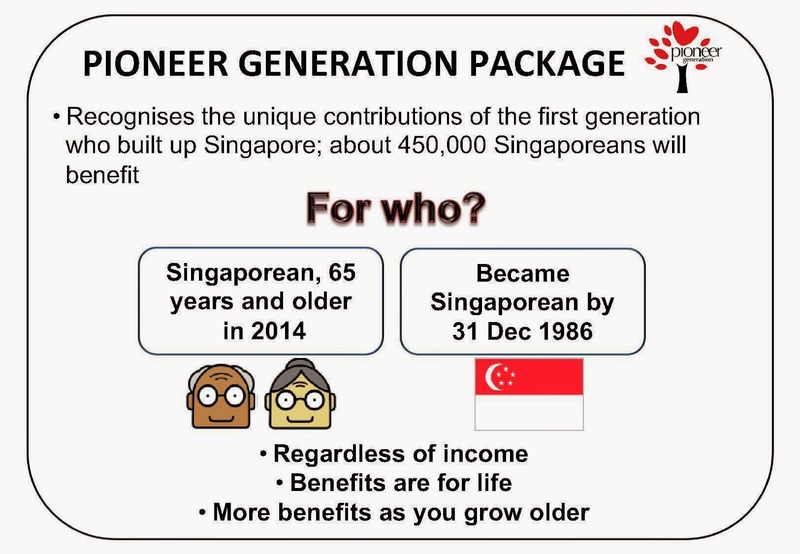 The package is for Singaporeans aged 65 or older this year and who became citizens before 1987. 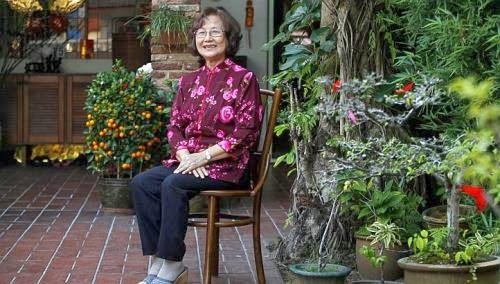 Ms Fu was joined by Lianhe Wanbao editor Lee Huay Leng and former Rediffusion DJ and veteran host Lin Ruping, who spoke in Hokkien and Mandarin. Many of the questions from the seniors present were on health care. One woman asked if her MediShield Life premiums would go up as she just had surgery. Another wondered how she would pay for her premiums if she had no more money. To these questions, Ms Fu said all Singaporeans, regardless of age and existing conditions, would qualify for the universal insurance. Those in the pioneer generation would also get help with their premiums, she added. Another woman asked in Hokkien if she could get cash instead of Medisave top-ups. Ms Lin, replying to her in Hokkien, said the Government had planned for the money to go towards health care and insurance premiums as it was meant to give the pioneers peace of mind. It would also help to reduce the burden on their children, who might otherwise have to pay their medical bills, she added. There was also a question on why the Pioneer Generation Package did not help seniors with their transport costs. Ms Fu said that health-care costs had been identified through public consultations as the topmost issue for the pioneer generation, which is why the Government has concentrated its "firepower" in that area. The $8 billion package unveiled in last Friday's Budget speech recognises the nation-building contributions of first-generation Singaporeans. "Ultimately it's to give them the peace of mind that their worries are very much taken care of." Yesterday's session was her third using dialect and Mandarin to explain the package. Ms Fu said she would continue with the sessions as more details about the package are released. Madam Oh Siew Hong, 75, found the session, jointly organised by Lianhe Wanbao and Yuhua grassroots organisation, useful. She is illiterate, speaks only Hokkien and had heard about the package second-hand from her friends. She said after yesterday's dialogue: "I think I have a better idea now." THE first round of Medisave top-ups under the Pioneer Generation Package will be paid out in early July, a month earlier than anticipated. 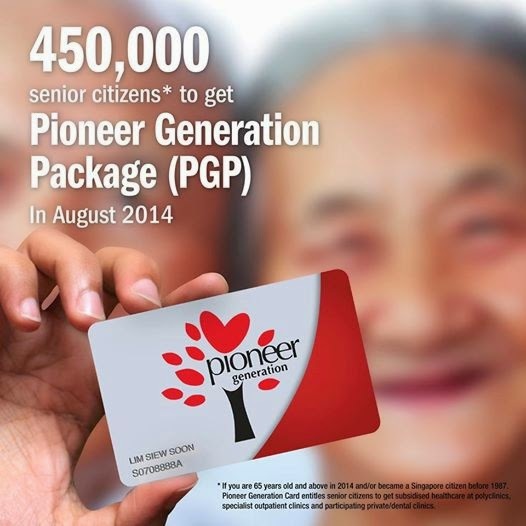 A Pioneer Generation card that can be used at clinics will be posted to pioneers before September, Deputy Prime Minister Tharman Shanmugaratnam also announced yesterday. The card allows them to be easily identified to get additional subsidies. Mr Tharman said that the two years' worth of Medisave top-ups will help the pioneer generation meet MediShield premiums before the new universal insurance scheme MediShield Life kicks in at the end of next year. The lifelong annual top-ups for pioneers range from between $200 and $800 depending on age. Mr Tharman also made clear that the MediShield Life subsidies, which are part of the pioneer package, will cover Medisave-approved private health insurance plans that many people have. "The Medisave-approved plans are Integrated Shield Plans and they include the basic MediShield as a basic component, and in future, the plans will include MediShield Life as a basic component," he said. "So those who are on Integrated Shield Plans will receive the same dollar amount of subsidies as those on MediShield Life." Benefits under the Community Health Assist Scheme (CHAS) that all pioneers will enjoy as part of the Budget package will also be brought forward from January next year to September this year. These will kick in at the same time as enhanced subsidies are rolled out at specialist outpatient clinics. The CHAS scheme lets pioneers receive subsidised treatment at participating private GP clinics and dental clinics. Several MPs had asked for the pioneers to be recognised in other ways, such as free entry to pools and tourist attractions. Mr Tharman said the Ministerial Committee on Ageing will engage businesses and organisations to offer special privileges to seniors, as part of efforts to celebrate Singapore's 50th birthday next year. Circle of trust in welfare system: Is S'pore ready?